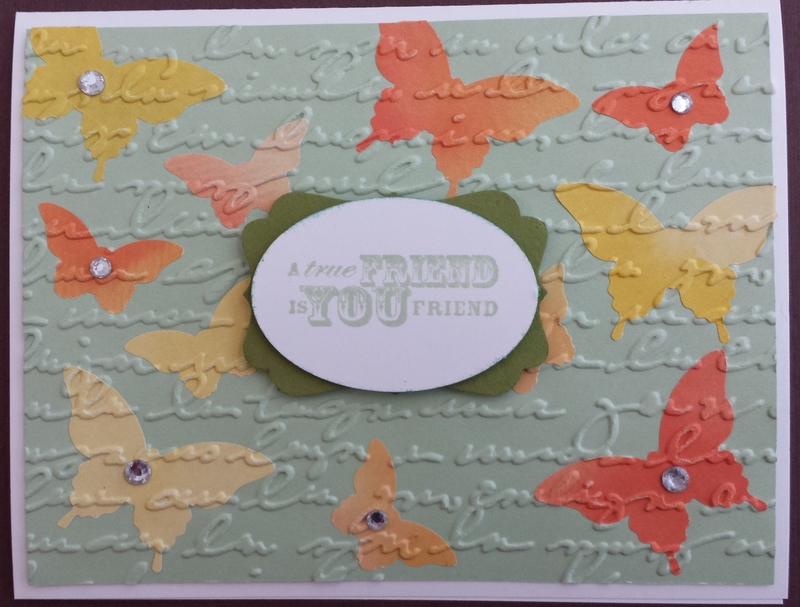 One of the cards we made at my recent Technique Card class was a Butterfly card using an embossing technique. For this technique you take random pieces of punched Designer Series Paper (DSP) with a small amount of adhesive and place them on a piece of cardstock. 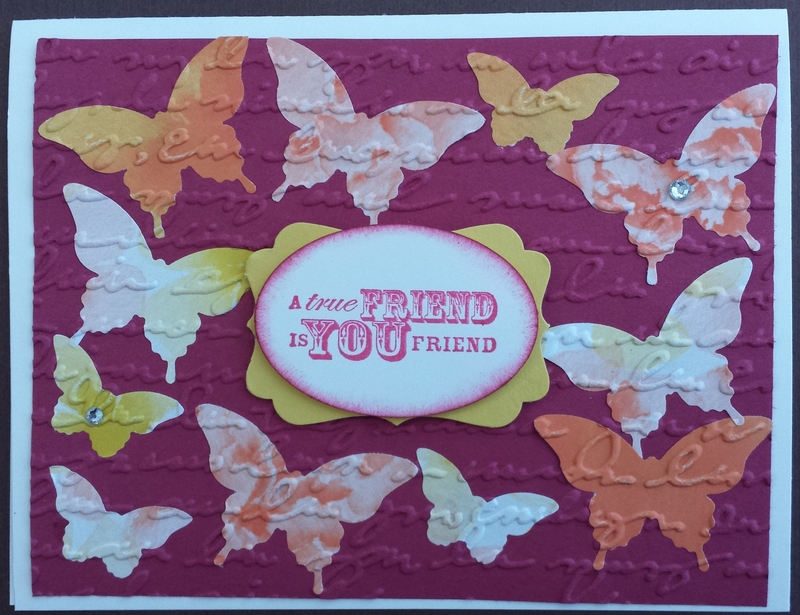 Then using the Pretty Print Textured Impressions Embossing Folder featured in our latest Holiday Mini you run it through the big shot and the become fused. 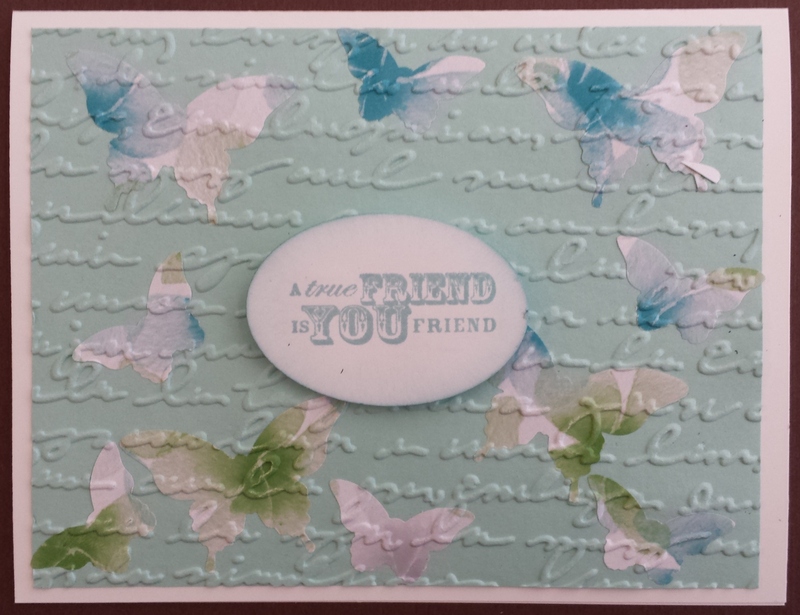 We used the Elegant Butterfly (127526) and Bitty Butterfly (129406) punches for the technique and the Extra Large Oval (119859) with the Decorative Label (120907) punches for the stamp. Here are a couple of more cards made that day. 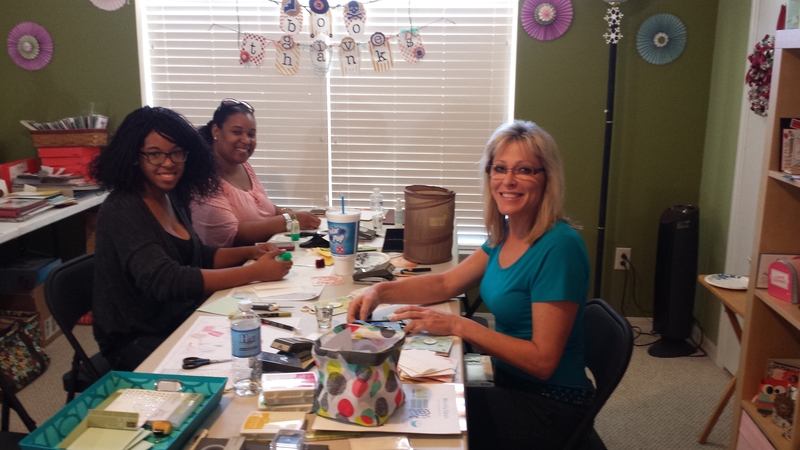 Telanna, Mercedes and Lisa having a good time!